For the residents of a provincial Henan village, the local mountain is like their East River. It is a handy place to dump a body. 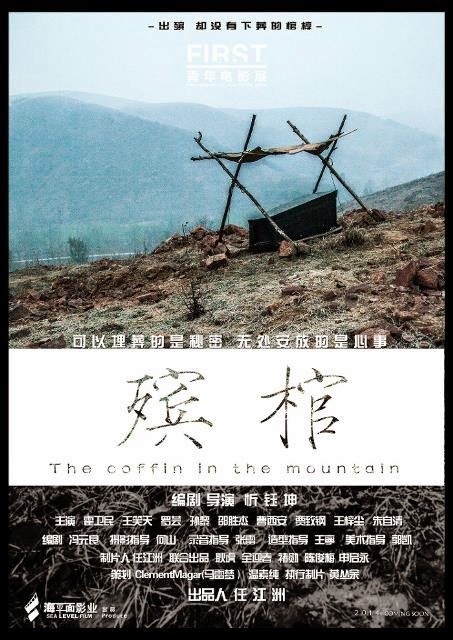 Nobody asks too many questions when a newly charred corpse pops up, perhaps because everyone is complicit in something during the course of Xin Yukun’s A Coffin in the Mountain (trailer here), which screens at the 2015 Seattle International Film Festival. Xiao Weiguo is an oddity—a village chief who never sought to profit from his position. His semi-estranged son Xiao Zongyao finds that hopelessly old-fashioned. His visit home has been awkward as usual. However, he is looking forward to an assignation with his on-again-off-again girlfriend, at least until she drops the pregnancy bomb. To make matters worse, local lowlife Bai Hu overhears their conversation. When he threatens to inform Xiao’s father, things get a little rough. At least they were already on the mountain, so they will not have to travel far to dump the body. Meanwhile, Li Qin tries to convince her lover, Wang Baoshan to kill her abusive degenerate of a husband, Chen Zili. Apparently somebody did the deed, but probably not the self-centered Wang. Regardless, Li Qin is not about to look a gift horse in the mouth. Of course, nothing is as obvious as it first appears as Xin’s braided stories overlap, intersect, and refer back. Coffin looks like a depressing Chinese indie, but it is really a wickedly droll, blackly comic noir in the tradition of early Cohen Brothers. By now, the nonlinear narrative gimmick has been done to death and usually done poorly, but Xin and co-screenwriter Feng Yuanliang make it look fresh and insidiously clever. It is a pleasure to watch Xin smoothly fit his pieces together. Yet, the film is so matter-of-factly understated, it often takes a beat or two for the audience to realize they have had the rug pulled out from under them again. 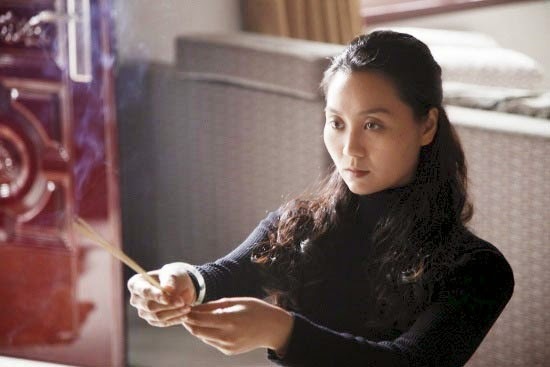 Although there are no big names to speak, the entire cast is dynamite, particularly Sun Li as Li Qin, the working class Chinese equivalent of Barbara Stanwyck in Double Indemnity. However, as Xiao Weiguo, Huo Weiman steals the film outright in the third act with his slow burning intensity and quickly escalating frustration. As he pulls his hair out in exasperation, we just have to shake our heads in appreciation for Xin’s twisty and twisted gamesmanship. This is a terrific film that consistently confounds expectations right from the start. It should herald the discovery a refreshingly original filmmaker and at least half a dozen new talents in front of the camera. Very highly recommended, The Coffin in the Mountain screens this Saturday (5/16), Monday (5/18), and Thursday (5/21) at this year’s SIFF.